Jedd Ahyoung demonstrates how to combine the power of PDF.js and the Aurelia framework to create a custom PDF viewer with two way data binding. 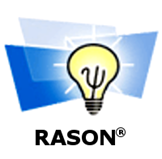 Solve powerful optimization and simulation models in your app easily with the RASON® API. Use a high-level modeling language embedded in JSON, and a simple, Azure-backed REST API service. A library built on top of the W3C web component specs for writing functional and performant web components with a small footprint. Stateless authentication is a great fit for Angular apps. In this post, Ryan Chenkie talks about implementing it using JSON Web Tokens. The WebAssembly project has reached a Browser Preview stage, with multiple interoperable implementations from Firefox, Edge and the V8 project to try. Webpack or Browserify and Gulp: Which Is Better? We're at issue 10 now and putting most of our React stories there instead. Can you identify over 100 libraries and tools from their logos alone? All sessions of Chrome Dev Summit 2016 will be livestreamed from our website on Nov. 10-11. Sign up for livestream updates. Tabulator is a jQuery UI plugin for quickly creating dynamic tables. A new way to extract values from JSON documents. With a strong focus on keyboard shortcuts.